It’s about the dog | Can I Bring the Dog? 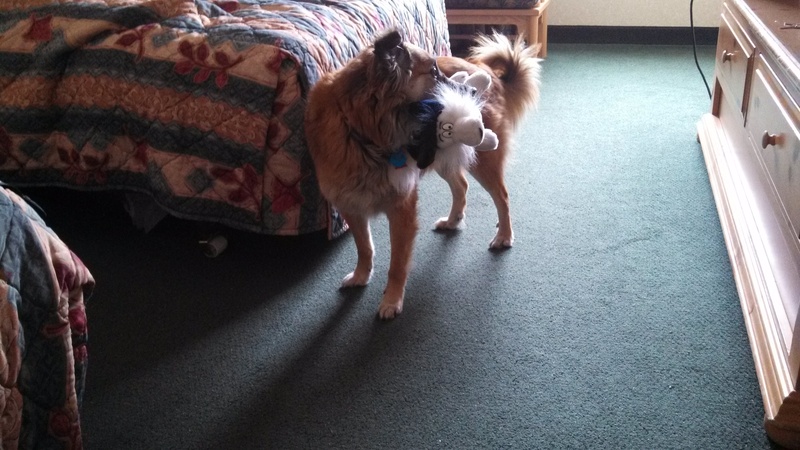 Chico is getting very good at moving into and out of motel rooms. 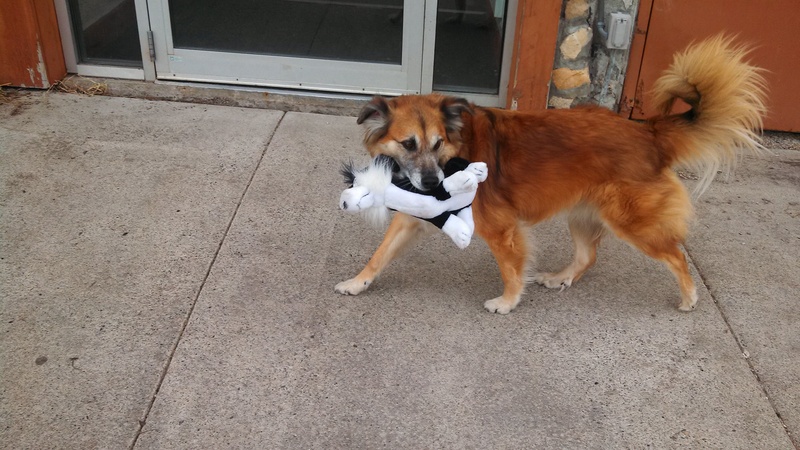 He has pretty much destroyed the stuffed toy that was part of his winnings at the trial in Sacramento, so when in a thrift shop the other day, I picked out a stuffed animal for him. 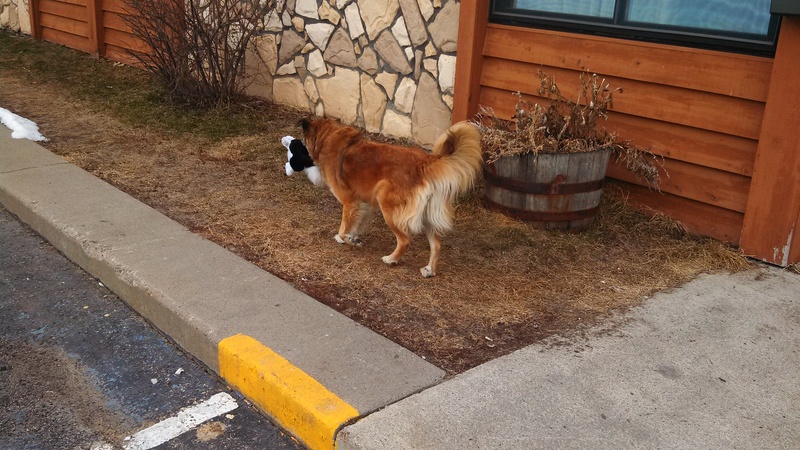 It’s a doggie, and looks a little like a border collie (one of Chico’s favorite breeds). 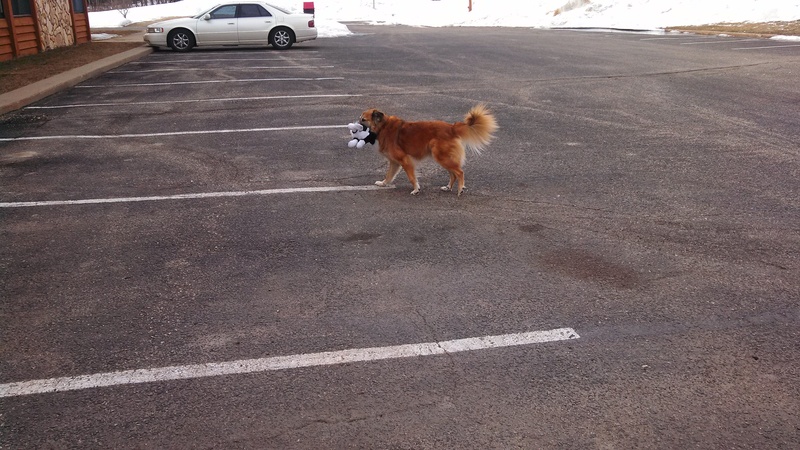 He really likes it and carries it to the car when we check out of a motel. OK, maybe he takes the long way, but geeze, it’s pretty cute, iddn’t it? This entry was posted in Uncategorized and tagged dog tricks, Field Trip. Bookmark the permalink.